Gummy bears are for kids. They're just chewy blobs that mostly taste of gelatin. You're better off getting Sour Patch Kids at the movie theater -- hell, even Sno-Caps are better. Rosé-flavored gummies, however, are decidedly for adults. And the waiting list for them seemingly proves it. 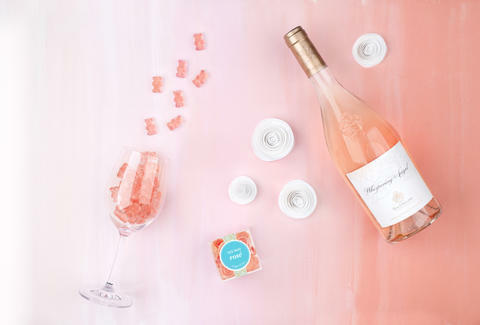 Self-described luxury candy store Sugarfina, in partnership with Whispering Angel Rosé, has produced Rosé-infused "Yes Way Rosé" gummies and “Rosé All Day” Rosé-infused Gummy Bears. Though non-alcoholic, the gummies and gummy bears take the amorphous flavors of your youth and inject the wholly grown-up flavor you'll find at picnics, house parties, and in all sorts of slushy cocktails. If you're intrigued, you're not alone; according to a press release, the gummy pre-sale on June 28 sold out in just two hours and crashed the company's website, resulting in a waiting list of more than 500 people. For reference, Sugarfina produces other adult flavors, such as maple bourbon caramels, champagne bears, and single malt scotch cordials -- some even contain real booze! Kids should not eat those. 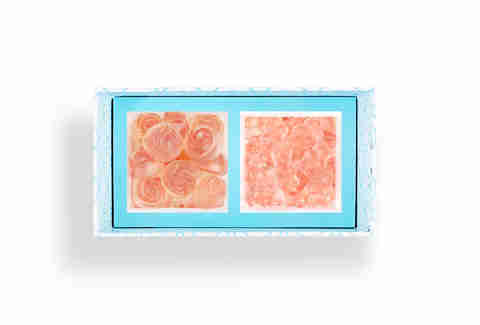 To get on the waiting list for the Rosé-infused gummies, shoot an email to roseallday@sugarfina.com. Then wait giddily like a kid... waiting to go to a candy store? Ryan Craggs is Thrillist's Senior News Editor. He's more of a Sour Patch Kids and red wine kind of guy. Follow him @ryanrcraggs.